As part of the sixteenth edition of the Street Musicians Festival, during the 2nd and 3rd of September 2016, Cinema City International Film Festival had the pleasure to curate and produce the film program at the site in the Petrovaradin Lower Town in an area behind the Belgrade Gate. 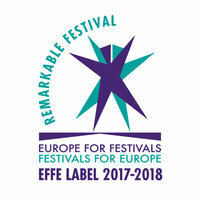 Good cooperation and friendship between our two festivals was once again confirmed by this project! Visitors of the Street Musicians Festival were able to attend screenings at the open-air cinema in the beautiful atmosphere of the unique Lower Town, and watch some of the audiences' favorite films from previous editions of the Cinema City. Cinema [email protected] Street Musicians Festival presented the following films: music documentary "Boye: The First Real Female Sound", about the firs female band from Novi Sad of the author Brankica Drašković, "Cinema Komunisto" of Mila Turajlic, a film that delighted the audience at Cinema City 2011, documentary "My profession" about the legendary singer and poet Arsen Dedic, directed by Mladen Matičević, as well as the film "The Second Line", exciting documentary testimony of Nenad Milosevic about Novi Sad's neo avant-garde cultural and artistic scene from the late '60s and throughout the 70s. The film program was enriched with two great short films "Home" by Nenad Mikalački and "The Story of the Residents of the Wall" signed by Andrej Boka.